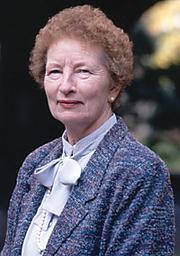 Marie Borroff became the first woman to teach in the English Department at Yale, and in 1965 was the first woman appointed to be a professor of English. She was one of the first two women to be granted tenure in any department in Yale’s Faculty of Arts and Sciences, and in 1991 she became the first woman on the faculty ever to be named a Sterling Professor, the highest honor bestowed on Yale faculty. Her verse translation of Sir Gawain and the Green Knight was first published in 1967; it appeared together with her translations of Patience and Pearl in 2001. Marie Borroff is currently considered a "single author." If one or more works are by a distinct, homonymous authors, go ahead and split the author. Marie Borroff is composed of 13 names. You can examine and separate out names.